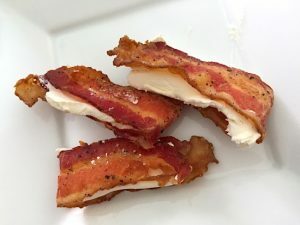 I found this fantastic keto cream cheese pancakes recipe while searching for a ketogenic diet breakfast that included something other than bacon and eggs. Even though this recipe does have eggs, it is balanced out nicely with other spices and cream cheese. 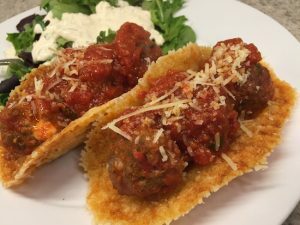 If you’ve followed this blog you’ll see that I lost a bunch of weight with the keto diet and I summarize that general plan here. 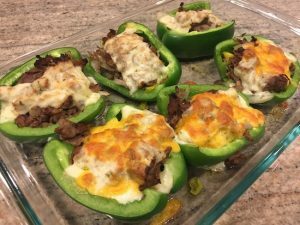 Regardless of whether you are eating a low carb keto diet or not, these are really great. Give it a try. Fairly simple ingredients: cream cheese, eggs, vanilla, baking powder, cinnamon, and blueberries. Add the ingredients in a bowl that will fit your immersion blender. Add the immersion blender and blend it until it is smooth. Pour the cream cheese pancake batter into a preheated non stick pan (medium heat). When you see bubbles, carefully flip it over. It’s much more tender than a regular pancake and it will rip, so do not flip it early. Let it bubble and carefully flip. A careful flip will result in a cream cheese pancake that looks like the above photo. Clean off the immersion blender and blend 1/2 cup of heavy whipping cream until it is thick. Add it on top of the pancakes and add 1/4 cup of blueberries. Fantastic! You can cut the carbs almost in half by skipping the whipped cream and blueberries and just adding butter. However, normally pancakes have a sweet sugar syrup all over top so I think this recipe is so much better with the natural sweetness of the blueberries. Additionally, blueberries are quite healthy so it can’t hurt to add 6 grams of carbs from the blueberries. 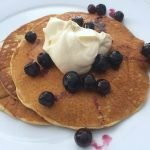 Give this keto cream cheese pancakes recipe a try and let me know what you think! UPDATE: I’ve learned that adding 1 tablespoon of coconut flour really makes these taste just like real pancakes. It only adds about 4.5 g carbs and gives it the fluffy pancake texture you want. An easy cream cheese pancake recipe that is perfect and in line with ketogenic diet macro ratios. In a bowl, add eggs, cream cheese, cinnamon, baking powder, coconut flour, and vanilla. Using an immersion blender blend the ingredients until smooth. Preheat a frying pan to medium heat. When hot pour the mixture into the pan. While the pancakes are cooking, clean the blender and blend the heavy cream until thick. Top the pancakes with the thickened heavy cream and add blueberries. The blueberries add 6 g of carbs. I think they are necessary to give the sweetness that we usually associate with pancakes.